What Tampon Size Should a Beginner Use? Q: Is Using Tampons Safe? Q: What Kind of Tampons are Best for Beginners? Q: What Size of Tampon Should a Beginner Use? Q: I’m Sensitive to Bleach and Scents, Can I Still Use Tampons? Q: What is the best brand of cardboard-based applicator tampons for beginners? Q: Is it Normal to Feel Pain When Using a Tampon? Period alert! Ring the alarm!!! This is how it felt when I had my first period. It’s shocking, overwhelming and even disturbing at some point. With the variety of sanitary care products available in the market, usually, we, women, chose the tampon. They’re convenient and discreet. But whoa! There are lots of different kinds and brands of tampons, so which are the best tampons for beginners? Sidenote: although, I’ve also once used tampons, I’m now a full-time menstrual cup fan! If you’d like to read more on reusable period products, please read my full review (and beginner’s guide) on the best menstrual cups. If you’re not fully assured of the cup lifestyle, perhaps a little more reading on menstrual cups vs tampons would be more appropriate! Should I go for superabsorbent or light? Applicator or non-applicator? Plastic or cardboard applicator? Which is the best brand of tampons for beginners? I bought my first tampon in a hurry, not looking at what type or size it is (big mistake). If the packaging is cute and colorful, I’m sold! So there I was, in my tiny bathroom, bleeding and figuring out how to put the tampon inside. TMI? Turns out I bought a non-applicator type of tampon with maximum absorption! Too much pain and stress on my first day. From the bright side, trying to get the tampon in was a good gym class! With this experience, I can attest that comfort should be your top priority when looking for the best brand of tampons for beginners. The easier it is to insert, the better. I’d say that the best tampons for tweens are those with built-in applicators as they play an important role in ensuring a comfortable and seamless insertion. Plastic applicators are a crowd favorite (mine too). Whereas cardboard applicators are a popular choice among the budding environmentalists (as it is biodegradable). While both are smooth enough to be inserted, plastic applicators seem more durable. A dent or moisture in cardboard applicators can easily affect its quality (read: insertion will not be a breeze). For some brands, tampon size depends on the absorbency level. When choosing the best tampons for first-time users, consider the pattern of your flow. My flow normally starts with a heavy gush for two days and goes lighter as it ends, so to match that, I would use super absorbent (but sleek) tampons for the first few days and switch to light/regular ones towards the end. Take note of the absorbency level in each box of tampons. If it has the words: Light, Lite and Regular – then these are best for light to moderate flow. On the other hand, boxes that say: Super, Plus, Super Plus, Overnights – are great for heavy to anemia-inducing, super heavy flow. Make it a habit to compare sizes, not all highly absorbent tampons are big. The best tampons for tweens are the ones that are sleek regardless of its absorbency level. Tampax offers a wide range of tampons that meet our different needs. 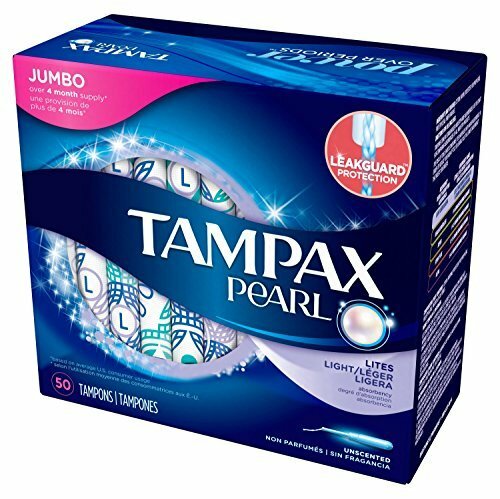 Tampax Pearl Lites is the right size for tampon newbies as it offers easy and wince-free insertion thanks to its smooth Pearl applicator and an 8 hours’ worth of protection and comfort. This is one of the best tampons to use for beginners! Playtex makes it plain and simple. 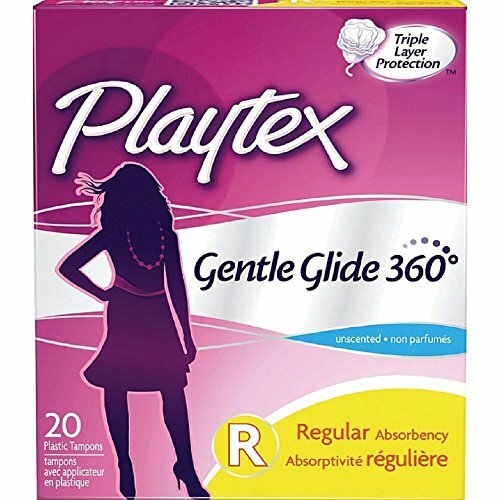 Their Gentle Glide 360° conforms to the body and offers leak-free protection making it one of the best tampons for beginners with light to medium flow. With its smooth, rounded, pearlescent applicator, insertion is a breeze. They are comfortable to use and keeps you dry longer thanks to its super absorbent core. Big things come in small packages. Do not be deceived by its sleek size, this keeper offers maximum absorbency for your heavy days. With its smooth tip and slim size applicator, insertion is easy as pie. These babies are super comfortable and absorbent for up to 8 hours. Plus, with its colorful designs and patterns, what’s not to like? I’m really in love with this product. I think the only downside I can think of is the fact that the applicator is plastic and is non-biodegradable. 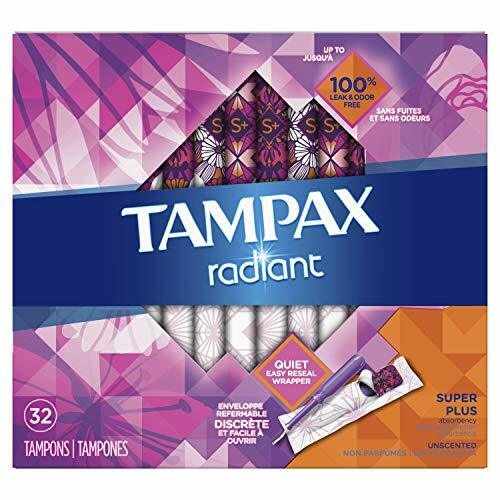 Tampax Radiant is 100% leak and odor proof, giving you the confidence you need even on your heaviest days. These tampons have the quietest wrappers that come in fun patterns and are resealable! Clean Grip applicator allows easy and accurate placement while the Leak Guard Braid helps control leaks before they happen. With these tampons in your bag, you’re unstoppable! Sports enthusiasts, rejoice! You can start getting your sporty life back with these lifesavers from Kotex. One click is all it takes to go from compact to full-sized protection. The new Comfort-Flex Grooves moves with your body to ensure you got your game face on no matter how heavy your period is. 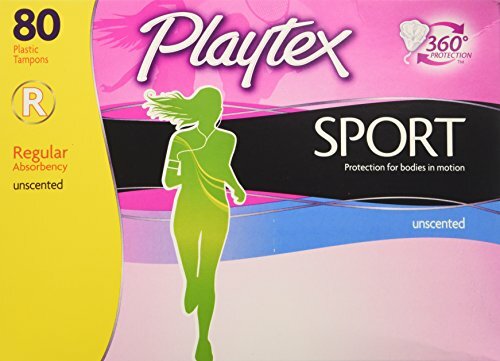 Playtex Sports Tampons offer a 360° protection for bodies in motion. 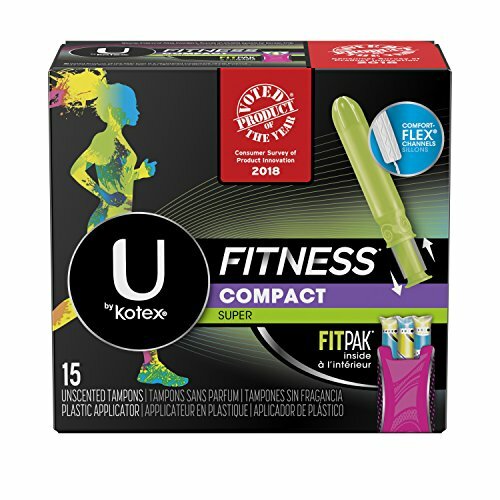 Whatever activity you may do, these tampons move with you thanks to its interlocking fibers called Flexfit. It’s packed with 360° Triple Layer Protection to guard you against leaks and traps it in so you feel dryer and fresher. With Playtex Sports, you won’t be afraid to move it, move it! For more tampons best fit for sports such as swimming, read here! Their applicators are BPA-Free and made with 95% plant-based materials. As for the tampons, they are made with hypoallergenic and organic cotton, perfect for sensitive areas. Pricier than other tampons, but c’mon they’re organic cotton! The tampon’s applicator is biodegradable and flushable! It has an anti-slip grip that ensures easy insertion. It molds according to your body and the LeakGuard skirt helps stop leaks before they even happen. This is also one of the most comfortable tampons I’ve ever tried, also the fact that they’re safe(r) for mother earth is a huge plus! Not everyone likes cardboard applicators, some prefer plastic applicators for easier insertion. I guess you just have to try both. If you’re specifically looking for other great organic options, read my article on the best organic tampons out there! A: Provided you followed the instructions and observed proper hygiene (washed and sanitized your hands, etc. ), using tampons should be 100% safe. On rare occurrences, Toxic Shock Syndrome (or TSS) happens to some tampon wearers due to a sudden overgrowth of the Staphylococcus bacteria that may have come from poor hygiene. As a rule, always make sure that you wash your hands with soap and water before and after handling a tampon and make sure that you don’t go over the 8 hours maximum absorbency period. Change your tampon every 3-4 hours as needed. A: Tampons that come in with a built-in applicator (whether plastic or cardboard) are the best for beginners. Inserting a tampon has always been a daunting task for newbies, these applicators ensure a hassle and pain-free insertion which is one of the keys to having a comfortable tampon experience. When you get the hang of it, then you can move on to ones with a cardboard applicator or just without an applicator. A: It is best to start with the sleekest tampons. I highly recommend starting with Tampax Pearl Lites as it has the sleekest size that is perfect for tweens. As your body gets accustomed to tampons, you can try the other brands with higher absorbency depending on your needs. A: Absolutely! There are brands that use 100% organic cotton and veers away from using chemical bleaches and strong scents. 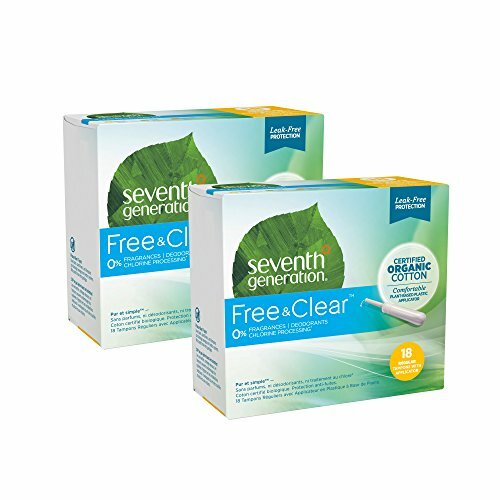 You may want to try Seventh Generation Free and Clear tampons, reviewed above. They may be a bit more expensive but I’d recommend them any day! 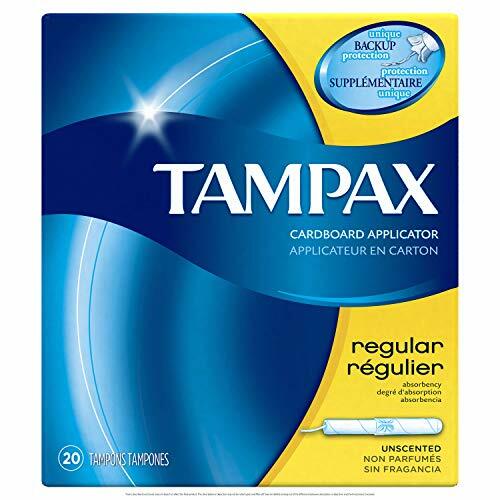 A: I highly recommend Tampax Cardboard Applicator Tampons as the best tampons to buy for beginners, as reviewed above. A: Pain during usage can be caused by different factors. First, it could be that the tampon was not inserted correctly if so you can try to adjust its placement until it feels much more comfortable. Second, you bought the wrong size. For tampon newbies, it is suggested to get the smallest and sleekest tampons (see suggestions above) to get their body to adjust before trying bigger-sized tampons. Third, 20% of women suffer from a retroverted uterus. This means that their uterus tilts backward instead of forward affecting how the tampon sits inside the body. If you have one, you’d need to adjust the angle of the tampon to make sure that it fits your body. If it’s not any of the three reasons, consult your OBGYNE to check if there’s any tear/infection inside your vag and use an alternative sanitary method, such as pads. And since we talked a bit about Mother Nature, why not try buying some of the best reusable pads? Having your period for the first time can be both exciting and stressful. With all the different products and brands available, choosing the best tampon for young beginners can be quite a daunting task. Beginners should take the time to read the labels closely and choose the brand and type that is comfortable to insert and use. Start with the slim/sleek ones first (even if they are for light to medium flow) just to get accustomed to the application and the feeling of having a tampon inside. As you ease your way in, you may slowly introduce yourself to the Super/Plus varieties. From here, you can alternate the usage between light and super depending on your flow. The products listed above are the best tampons for beginners to buy, you may try them one at a time and come up with a decision based on what works well for your body. Feel free to contact me if you have any questions, I’m here to help! Till the next cycle, ciao! Instead Softcup Review 2019: Why Is It Different from Other Cups?